Today’s families often find themselves running out of space when it comes to the central living areas. Between couches and televisions, gaming systems, and all that goes into the main entertaining area, a single living room is no longer enough. A family room addition is the perfect upgrade for your home, allowing you to keep a formal living room area for entertaining guests while adding a main family area for everyone to enjoy year-round. 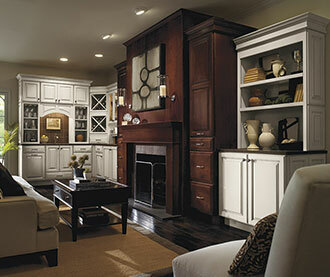 Magazi-AG has been creating practical, beautiful family room additions for more than 25 years. 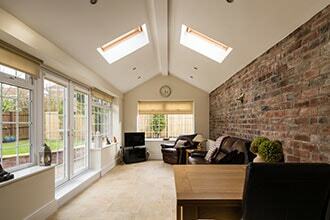 Family rooms are more and more becoming the main focus of the house. They should appeal to every member of the family and be a versatile, all-purpose space. They may include an informal place to eat, an area for a home office or desk, custom built areas for home entertainment systems, and of course a host of different places to rest and sit. Built-in storage such as book shelves to house books and knickknacks are an excellent addition to any family room. When hiring a family room addition contractor, the most essential consideration is finding someone you can trust to follow your vision and create a space you will truly be comfortable in. Magazi-AG has earned the trust of clients throughout the region by taking the time to understand their needs for the space. Furthermore, we make the process stress-free and efficient by having the designer and installer work together from start to finish. Mary has worked as a designer for more than 25 years, and her son George has been a licensed and insured MHIC 41859 contractor and EPA Lead Safe Certified contractor for over two decades. We listen to your expectations and endeavor to exceed them. Magazi-AG has completed family room additions throughout Montgomery, Howard, Baltimore, and Anne Arundel Counties, including the towns of Bethesda, Silver Spring, Rockville, Chevy Chase, Ellicott City, Columbia, Severna Park, Olney, Gaithersburg, Kensington, and more. When you add a family room addition to your home, you’re creating a space that is deeply personal and will be used by your family for years to come. Make sure your new family room is customized to your unique needs and preferences by working with a residential remodeling contractor that knows how to transform your visions into reality. The first step is a free consultation, held either in your home or at our showroom. We’ll get to know you and understand your family needs as well as your preferences for design. Call us at 301-913-0286 or contact us today to get started.